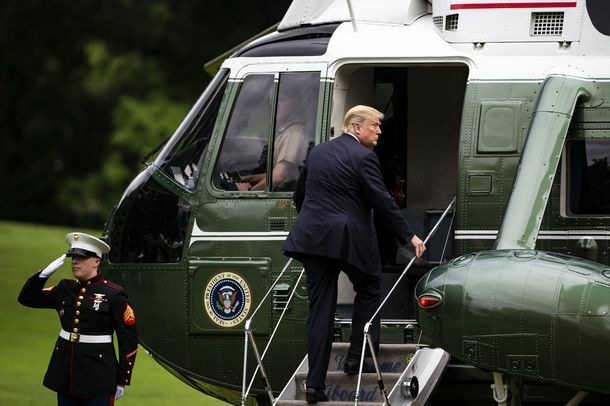 Trump Says He Has “No Reason” To Cooperate With House DemocratsIt appears Trump’s quote wasn’t given with controversial intent — denying the House its regulatory purview is just his operating procedure. Trump to Screen Anti-Abortion Film at the White HouseThe tradition of the White House film night takes a turn to the right. The Search for Trump’s Next Chief of Staff Is Getting AbsurdNewt Gingrich is visiting the White House and Jose Canseco has submitted his résumé. ‘Dumb As a Rock’: 5 Times Trump Insulted People He Appointed HimselfRex Tillerson is the latest to join a not-so-exclusive club. That White House Press Intern Goes Through a Real Power Trip on SNLHow many microphones does she have to confiscate? White House’s Scary Portrait of Socialism Pretends Inequality Doesn’t ExistThe latest Council of Economic Advisers report misrepresents what socialism is about, and ignores an issue that makes it attractive to many Americans. 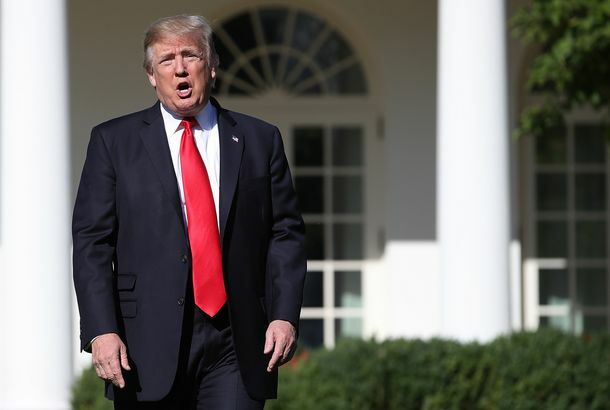 Why on Earth Is Trump Making Infomercials From the Rose Garden?Lately, the president has been standing outside and yelling about various things. The reason involves his new communications director, Bill Shine. White House Quietly Launches Initiative to Highlight the Evils of MarijuanaThe Marijuana Policy Coordination Committee is collecting info from government agencies on the “negative” aspects of marijuana use. Trump: White House Counsel Don McGahn Is Leaving in the FallThe favorite to replace him is Bill Clinton’s impeachment lawyer Emmet Flood. White House Reportedly Killed Bipartisan Bill to Fight Election HackingThe Secure Elections Act looked like a sure thing to become law, until it didn’t. Where Trump’s Vacation Is a Vacation From TrumpThe White House without the president is like a bunker without the war. Trump Has Repeatedly Tried to Ban or Punish Reporters Who Annoy HimThe authoritarian-curious president has reportedly sought to ban journalists or revoke their credentials in retaliation for how they question him. This Rambling Kellyanne Conway Interview Sent Me to Another DimensionShe created a truly incredible word jumble in response to a question about John Kelly’s light mishap yesterday. Trump Won’t Stop Tearing Up Papers, So Staffers Tape Them Back TogetherGovernment workers say they spent months reconstructing documents that the White House is legally required to preserve.